Now available for the first time! GPM pre- engineered Diesel Engine Automation Systems (ACC & ACCU) designed to meet specific re- quirements of diesel engine powered vessels. GPM Ship Automations Systems conform to the latest IEEE #45 Marine Electrical Installa- tion Standards, A.B.S. 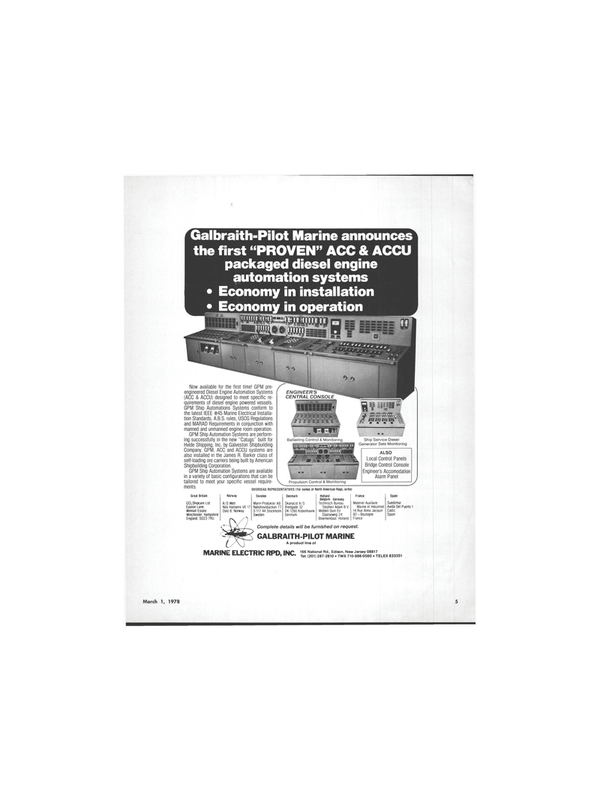 rules, USCG Regulations and MARAD Requirements in conjunction with manned and unmanned engine room operation. GPM Ship Automation Systems are available in a variety of basic configurations that can be tailored to meet your specific vessel require- ments. Complete details will be furnished on request.